As the book says, everybody poops. This includes dogs, which is only natural considering that they eat, and pooping out waste is part of the digestive process. That's why diet changes can help. 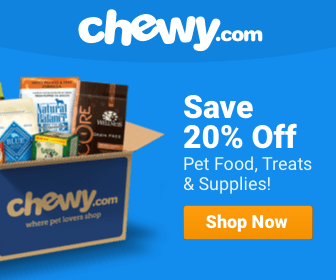 Beneficial calming treats for dogs can really ease your pup's stomach. Allowing them to remain active & excited. However, there is a fine line between being regular and producing an excessive amount of feces. So how can you tell? Typically, your average dog will poop anywhere between one and five times per day. This number fluctuates on a few factors, such as the dog’s diet and the dog’s age. 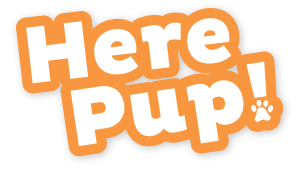 In the latter factor, you should keep in mind that puppies will poop much more frequently than older dogs. 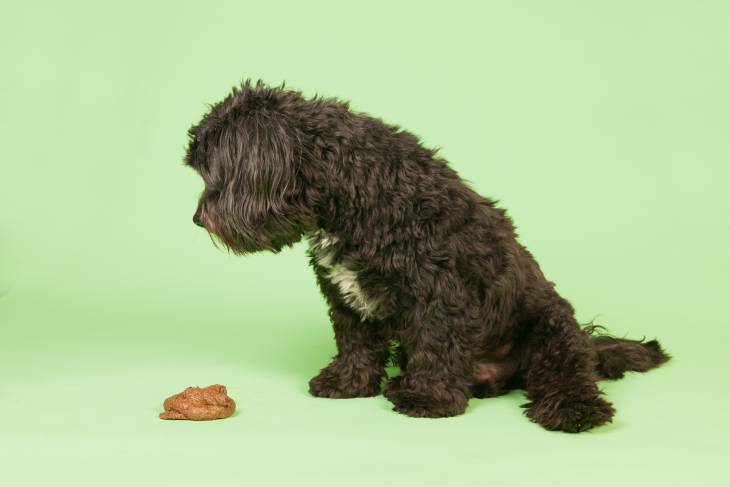 The number of poops your dog makes each day is yet another factor to be aware of and pay attention to in order to diagnosis potential issues in your dog's life.​ This is why it is important to pay attention to your pup's bowel movements as you start training him. If your dog poops beyond the five times a day range, chances are there is something else afoot that goes beyond forgetting his training. Some of these changes can be rather innocuous in the grand scheme of things. Others may point to something more concerning. For example, a change in your dog’s diet could be the impetus of the extra poop. A dog’s digestive system can be very sensitive to food, so if you are feeding him stuff with a new formula, his body may react to some of that newness as unusable waste and expunge it like other waste. Eventually, the extra poop will in all likelihood slow down once his body adjusts to the new chow. In some cases, a radical change of environment may trigger an increased need to defecate. Things like moving to a new house or a major renovation on your existing home could alter your dog’s bowel habits because it shifts the parameters of his routine space. Sometimes, even the introduction of new sounds or smells to an existing environment could trigger this response until he gets used to things. Other times, excessive poop could point to myriad of medical issues. Some of these conditions could include the development of chronic issues, such as irritable bowel syndrome or colitis. Other conditions are much more serious and could range from the presence of internal parasites to cancer and diseases affecting the kidney or liver. If your dog is pooping too much, the first thing you should do is take note of where the extra poop is formed. Normally, a trained dog will do his business in the spots where he is trained to go. However, if the extra poop takes place in areas that are beyond his usual “comfort zone,” there could be something else going down. You should also take the time to inspect the excessive poop. If you find the extra feces within your home or in another unusual spot, there is a good chance that the stool you’ll find is loose and watery. If this is the case, then your dog has diarrhea. The good news here is that if you have a dog that has runny feces, you could take immediate steps to correct it. Things like switching to a blander diet or making sure he's not feasting on your table scraps, can help shore up the issue. Your dog's doo should firm up in two to three days. If your dog’s stool does not firm up, or if you see things like mucus or blood in his stool, this could be the sign of a more serious issue. In this case, it is wise to schedule a visit with your dog’s veterinarian as soon as possible. If there is something more serious happening, your vet can help you devise a plan to help get your dog on the road to recovery. If your dog hasn't established a standard "poop zone" in your yard, then that is an additional step you can take to improve the consistency in their bowel movements. Just take your dog out to the same spot each time until they recognize the spot as their doggy bathroom. Be Kind to Your Dog Above All Else! We know that cleaning up extra poop - particularly in places where it doesn't belong - is a big hassle. However, as you clean up the waste, be mindful not to lash out at your dog. Even though dogs have been known to poop in order to "send a message," these cases are an exception rather than the norm. As such, you should show your dog some sympathy in these situations. This is especially the case if the extra poop is diarrheic in nature - chances are, he just couldn't make it to his spot on time. Remember, he's your dog, and you love him; an accidental poop shouldn't change this! So my dog poops a lot before food and after food also. I think he is not able to digest the food. The colour of the poop is light yellow. I think he is having constipation not sure. What is remedy which can overcome these… Any medicines names suggestions will appreciated. Try Changing your dog’s food…You can also visit your vet to get medical advice from a licensed professional. I think adding probiotic(supplement) to your dog daily diet will curb excessive pooping. Probiotic will help to digest food better. I have a 5 month old Yorkie.We’ve had her for 2 mos. and cant get her house broken.She was never in a home before we got her so she wasn’t crate trained or very well socialized.or pee pad trained.She has done good for night training in her grate only took 2 nights and she learn’t not to go in her bed.She learnt from our other 2 dogs to go outside first thing in the morning and caught on real quick,but it after that morning trip thats the problem.U put her outside in her pen and she won’t go she waits til u bring her in.we were out the last wk end for hrs walking her and carrying her as she is really small likely a total of 5 hrs in that time she only peed once but when we got home she made up for it peeing and pooping in the house.Went for 1/2 hr walk the other day she did nothing came home did everything in house again.Starting to get frustrated could us some suggestions never had these problems with any other pup.